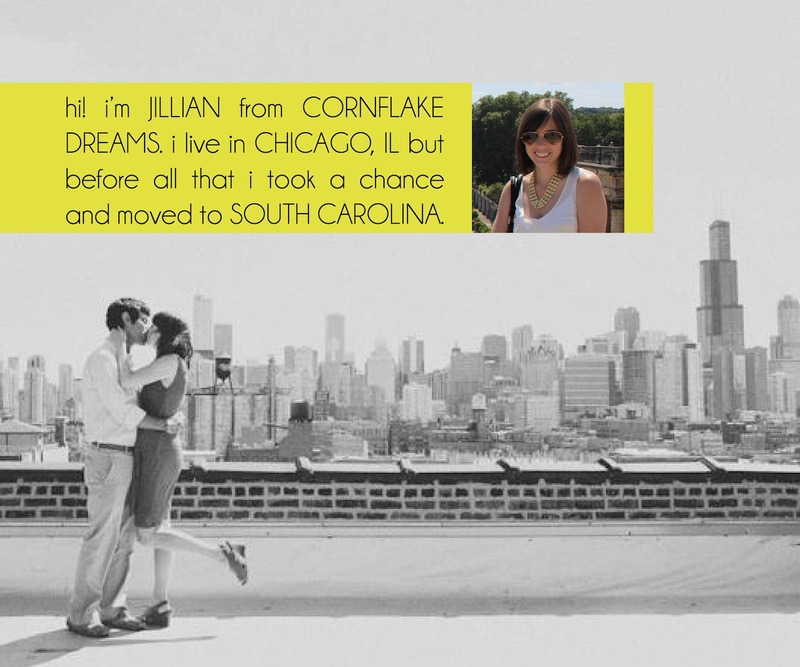 I'm excited to introduce you all to Jillian of cornflake dreams. I connected with Jillian earlier this year when she hosted a Chicago blogger meet-up that I organized. And she recently got married... so be sure to check out the beautiful wedding and honeymoon pictures on her blog! 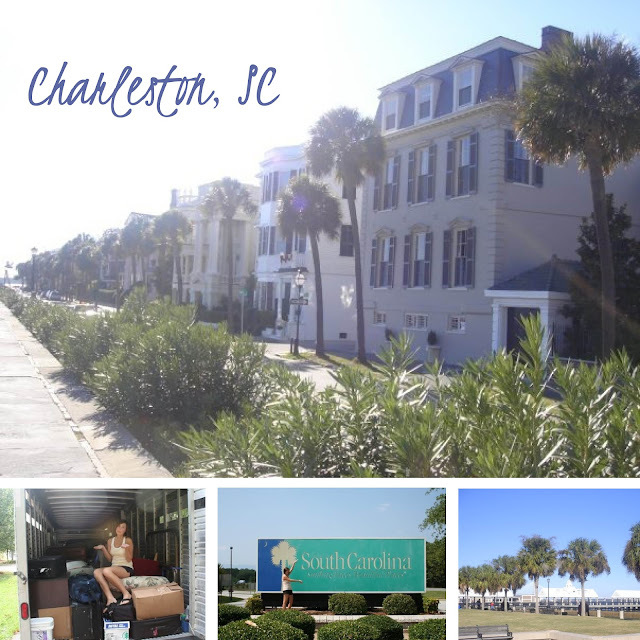 The summer after I graduated college I decided I wanted to move to Charleston, South Carolina. I fell in love with the city a few summers before, while I was on vacation. I was smitten with the palmetto palm trees, the laid-back beaches and charming historic downtown…not to mention the year-round warm weather. I grew up in Illinois and went to college in Wisconsin so I was very familiar with brutal winters, snow storms and huge down puffy coats. I was ready to ditch all of that and figure things out somewhere new. Alone. I didn’t know anyone in Charleston and the closest family I had in Orlando. Despite my parents (obvious) concerns – “You’ll be lonely, you don’t have a job! The South is a whole world!” despite all of that, I was determined make my move happen. After I graduated in May and said goodbye to my best friends I moved back home. Ahhh yes... mom was right, it does take money to move. Dang. So that summer I worked two jobs—a 9-5 office position in the suburbs at a digital printing company, working as a customer service rep (HOLY awkward) and on the weekends i folded clothes at a jcrew factory store. Naturally, i ended up spending most my paychecks on clothes. Needless to say, that summer wasn’t very fun. When I told people about my big plan to move they all asked me the same question—"WHY? Why would you want to leave Illinois? Why don’t you just move to Chicago?" It was exhausting to explain my plan over and over again and to make matters worse my family bought a puppy the week before I was set to leave. really?!? When Labor Day weekend finally arrived I packed up my stuff and my parents drove me across the country to my new home. I found a roommate online (my mom was terrified she’d turn out to be a crazy-cakes) but she was very normal and from the Midwest too (bonus!) 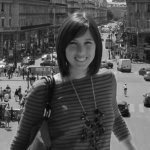 I spent my first month scouring the web for an entry level marketing position but my search left me frustrated and nervous. most of the jobs were part-time or sales -- which i was NOT interested in. after another month of searching (and spending some quality time at the pool) i swallowed my pride and found a part-time position at the nearby banana republic outlet. not all of my experience in charleston was negative -- i learned a LOT about myself and how to make myself happy. i explored the city and got into running and pilates. i realized that although i loved my family and friends and i missed them, i was capable of having a good time by myself. i was independent while i was in college but when was alone in a city i had to figure things out by myself. my search for a full-time job was not fruitful and after much debate i made the decision to move back to chicago. it turns out my best friend wanted to move from ohio and we decided it was the perfect opportunity to move to chicago together. 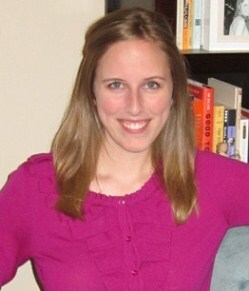 i was BEYOND excited to return to the midwest where there were more full-time job prospects, friends and things to do. we moved into our vintage garden-view (ie: basement) apartment on one of the coldest days in january and weco couldn't have been happier. five years later, i still miss charleston - the weather, the quaint downtown and the southern cooking but i LOVE chicago. the city turned out to be a better fit for me --i'm sure it didn't hurt that i met my husband here, i have a job that i love and i've got all of my best friends in this city. in the end it means more to me to be surrounded by the people that i love rather than the climate and city i am smitten with. i really believe that things happen for a reason. i don't regret my decision to move to charleston...or to move back to chicago, things have a way of working themselves out. Post-college depression should definitely be a real term! It sounds like you've learned a lot from stepping out of your comfort zone. Also, being alone can be rejuvenating. Thanks for sharing your story. I love the way you describe post-college depression. Our stories are similar except mine's more the opposite. I grew up in WI and moved to NC for college. During my post-college depression months I was back in WI and absolutely miserable. First chance I got I high-tailed it back to NC. I'm a little ready for a chance of scenery (having moved every nine months or fewer since 2007, that happens quickly) but I definitely don't want to go back to WI.